Barcelona is one of my favorite cities. First off, I love the whimsical architecture. 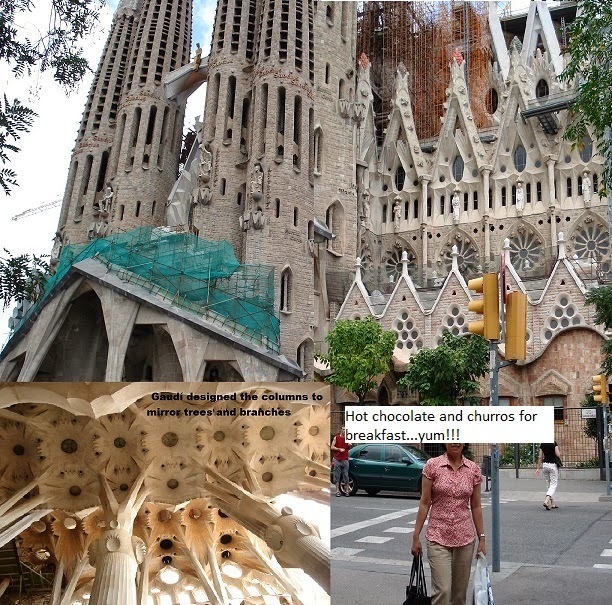 It has Antonio Gaudi's, the crazy genius architect, signature all over the city. 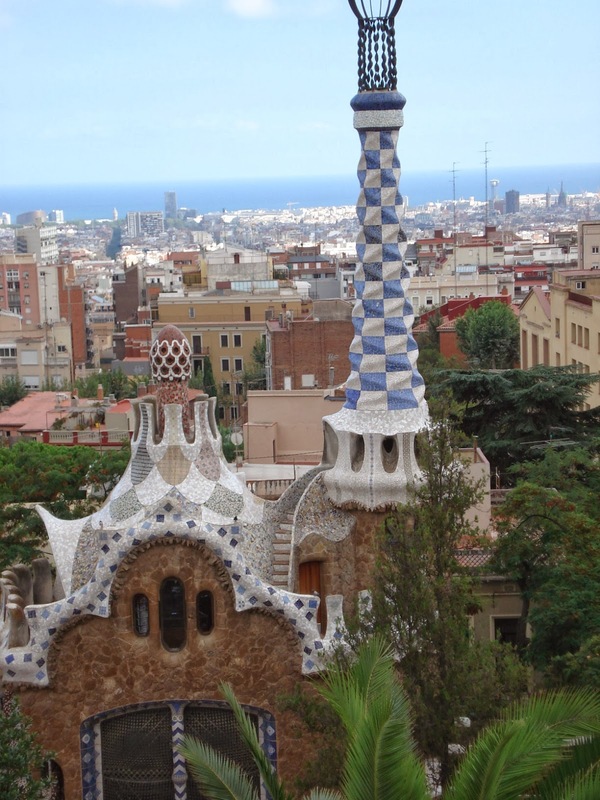 I enjoyed hanging out at the park, 'Park Guell', a combination of art and nature. I thought Gaudi designed the park with every kid in us in mind. The park is best known for the Hansel and Gretel's gingerbread house and the colorful glass and tile dragon at the entrance. Another favorite is the Sagrada Familia - religious architecture that has become as much a symbol of Barcelona as the Eiffel Tower is of Paris. Started in 1882, Sagrada Familia is still under construction and is expected to finish whenever (there was actually a target date). So it evolved or continue to evolve from gothic to art nouveau. The front façade is gothic, blah, blah (blah in a good way like any cathedrals in Europe), but the added beauty is in the interior nave that Gaudi designed to mirror nature: trees, branches, leaves, pineapples and the jagged mountains of Monserrat. The second reason why I love Barcelona is because it is a coastal town, which leads me to the third reason - the seafood! So for me, the food in Barcelona was better than in Paris. The most memorable moment of my trip to Barcelona was hanging out at the tapa bars - not for the drinks, well, maybe for Sangria - but for the tapas. It's pretty obvious from this picture with my luv-handles and the buttons on my blouse about to fly open that I didn't mind the few pounds gained while vacationing there. I did some photo manipulation by stitching a few pictures together, adding 'memes' (typing texts over my face). Hence, the poor image quality. 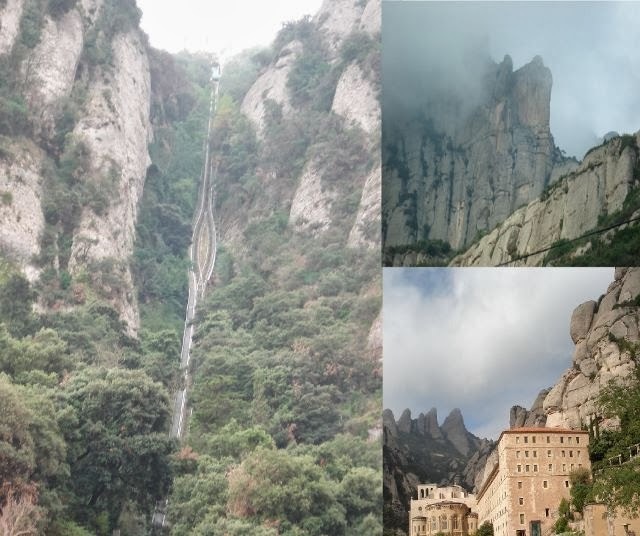 Since I mentioned Montserrat, I thought I'd throw in a picture of the jagged mountain of Montserrat - a multi-peaked mountain located near the city of Barcelona.